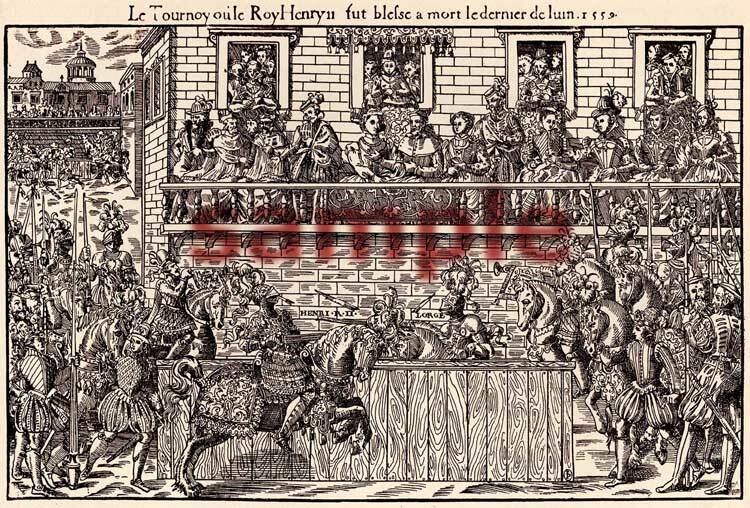 This print captures the tragic moment in the 1559 tournament in which Henri II King of France participated when he was mortally wounded by a lance that passed through the opening in the visor of his helmet. The woodcut image shows the lance shattering on impact resulting in its end entering the Kings cheek under the left eye. Henri II lingered in pain for ten days until he died from the injury he suffered.